HALLOWEEN FOREVERMORE is turning out to be a treasure trove of cool stuff. So here’s another one to share and, while the vampire article Monday may have seemed more basic, this one’s a review of a cutting edge film. But first a short trip in the wayback machine to this summer’s NASFiC (a.k.a. Detcon1) in Detroit, noting my “having missed the Masquerade (hey, they ought to have pictures of it in LOCUS), opting instead for that night’s ‘Film Festival — Horror Shorts #4,’ which included a premiere of ‘The Tell Tale Heart,’ the first of three stories in TALES OF POE directed by Bart Mastronardi and set to premiere as a whole in Hollywood next month” (see July 23). Thus it came that TALES OF POE had its Hollywood world premiere as promised on August 20, and guess who happened to be in attendance, HALLOWEEN FOREVERMORE managing editor/reviewer Terry M. West! 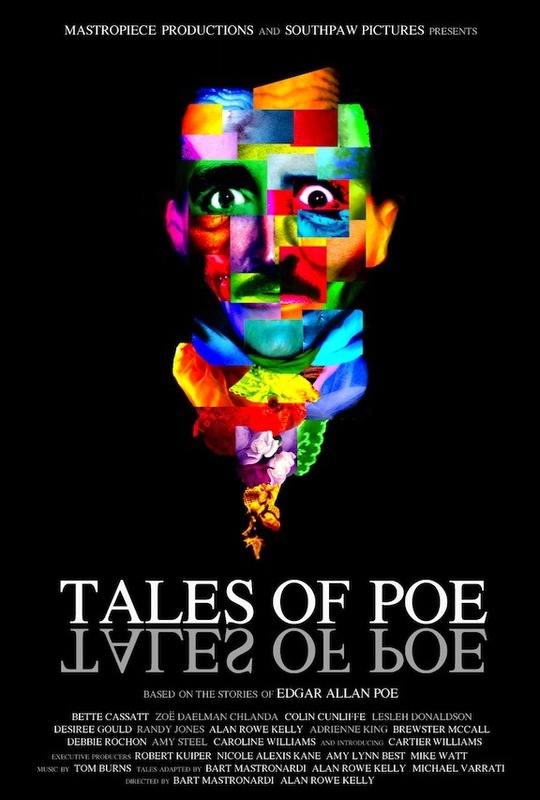 So now we know what the other two stories are, for one thing: “The Cask” (based on “A Cask of Amontillado”) and “Dreams” (a put-together sequence of various Poe themes). For another, I can say from just seeing the first part that the film as a whole is on my list to be on the lookout for. Might one hope for a Midwest premiere at the Indiana University Cinema? Or, at least, perhaps a screening at next year’s Diabolique Film Festival? Maybe not, but one can find the picture reviewed — including a trailer — at HALLOWEEN FOREVERMORE by pressing here.